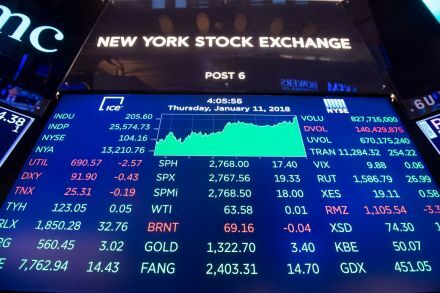 London, July 18 (AFP/APP):Stock markets largely rose on Wednesday, tracking an overnight Wall Street rally after the Federal Reserve chief expressed confidence in the US economy despite global trade war fears. In foreign exchange, the pound slid to a 2018 low at $1.3010 on slightly receding prospects of a UK interest-rate hike next month after British inflation undershot expectations. Across the Atlantic, Fed chief Jerome Powell on Tuesday offered a positive US outlook, citing a strong job market and inflation figures in line with the central bank’s targets, sending stocks higher.